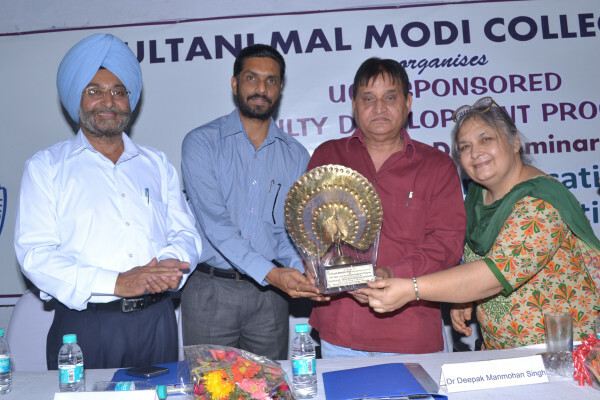 UGC sponsored one-day seminar was organized on the theme ‘Quality Research in Higher Education Institutions – Issues Calling Attention’ under Faculty Development Programme at M. M. Modi College, Patiala here. Inaugurating the seminar Dr. A. S. Chawla, Registrar, Punjabi University, Patiala stressed the relevance of quality research because it keeps the teachers abreast of the latest development in their respective fields of knowledge and thus further helps them in disseminating latest knowledge to their students. It is needless to say that the students of informed teachers are always ahead of others, he told. Dr. J. S. Pasricha, Dean, Research, Punjabi University, Patiala also talked about the relevance of knowledge generation through quality research programmes because only quality research will lead to the development of new ideas which we can get patented. He told that quality research becomes the basis for policy formulation which has wide implications covering the entire state. Dr. G.S. Batra, Head, Department of Business Studies and Management Punjabi University, Patiala tried to remove the impression of non-availability of funds for research activities by sharing the names of important agencies which are providing scholarships and other financial help to the research scholars. 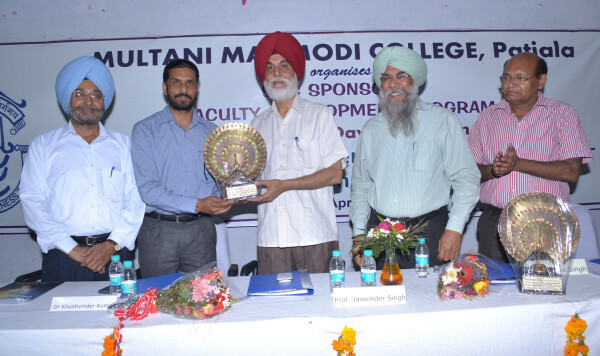 Dr. Manjit Singh former Registrar raised certain pertinent issues responsible for non-recognition of our higher education institutions at the international level. He pointed out that bureaucratic set up in the field of research is a major hindrance in the freedom which research scholars in other developed countries enjoy while carrying out their research projects. 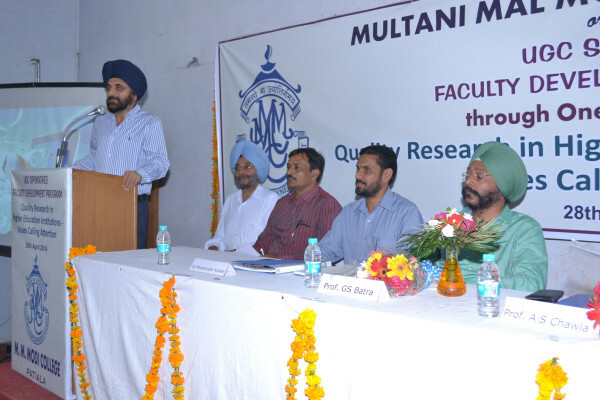 Dr. Jaswinder Singh, Dean, Academic Affairs, Punjabi University urged the teachers to have passion for learning and teaching. This passion coupled with ethical values will keep the flame of research burning and will continue to give birth to new ideas. Dr. Tejinder Kaur, Director, highlighted the need of talking about quality research because there are large number of institutions where certain unethical practices are adopted in the field of research. She told that such institutions must be debarred because they are responsible for sullrying the image of even those institutions which are contributing a lot. Dr. Deepak Manmohan Singh, Director, World Punjabi Centre, Punjabi University shared his concerns about the negative impact which globalization has on our traditional values and such tendencies are showing their ugly faces even in the field of research. 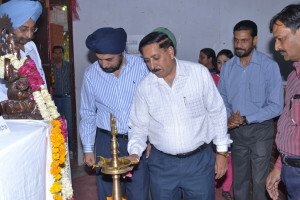 Prof. Nirmal Singh, Prof. Sharwan Kumar and Dr. Vinay Jain thanked the guests for various sessions. Prof. Neeraj Goyal and Prof. Ganesh Sethi presented the report of the seminar. Dr. Harcharan Singh and Dr. Rajeev Sharma, Organizing Secretaries of the seminar conducted the stage.